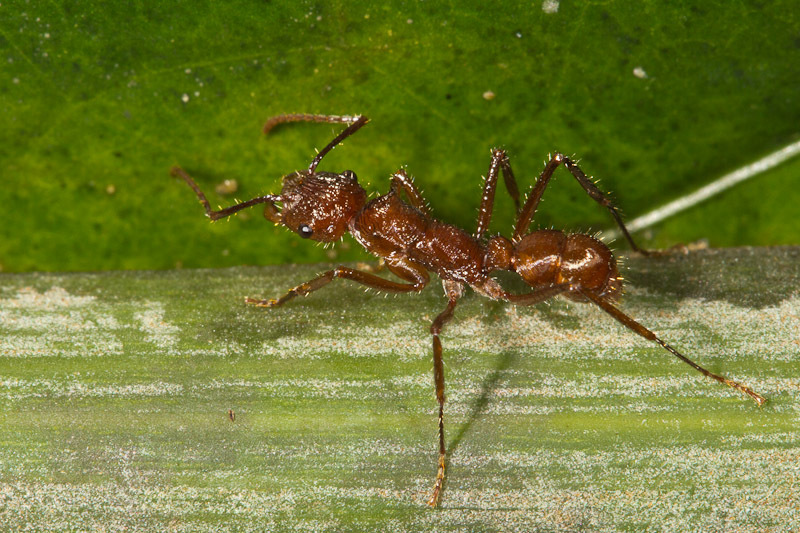 These ants, Ectatomma tuberculatum, were easily found on the vegetation shown above. Not sure what the plant is, but it dominated the coastal trail near Puerto Vargas within Cahuita National Park. The white plant parts shown attracted quite a variety of critters. 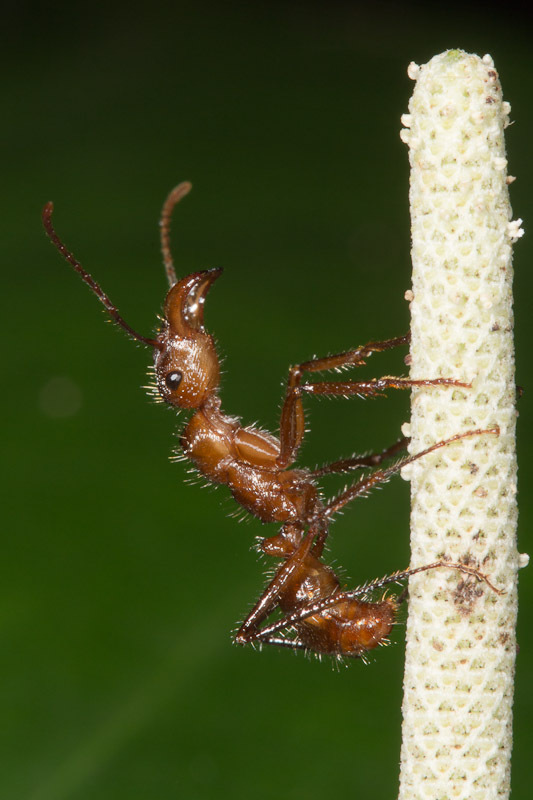 I think the ants above (possibly the same ant) are waiting in ambush. Below, I tried to catch one on the move. 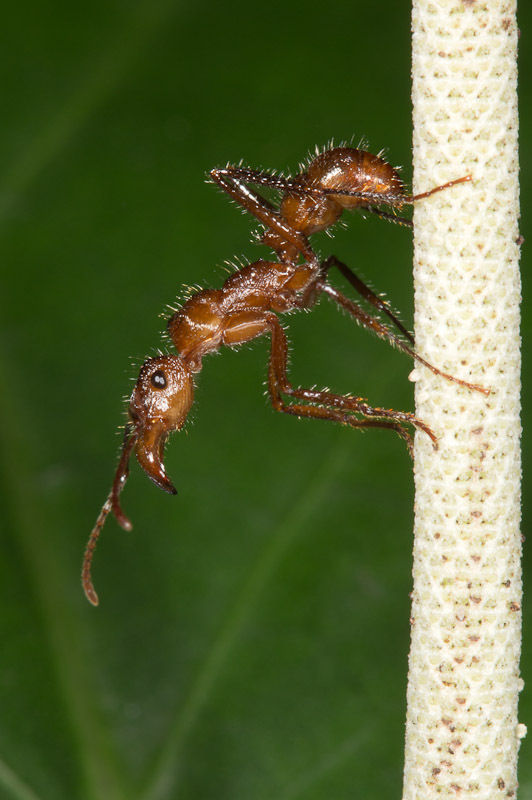 I found an interesting story while reading about this ant. A USDA biologist, O.F. Cook, was convinced this species could help control the impact of boll weevils on cotton production. In the early 1900’s he introduced it to cotton fields In Texas, but it failed to colonize.